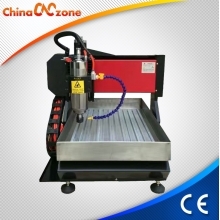 Tags:Hobby CNC - China Mini CNC Routers, CNC Engraving Machine & CO2 Laser Engraving Machine Manufacturer Supplier. 1500W and 2200W water cool spindle. 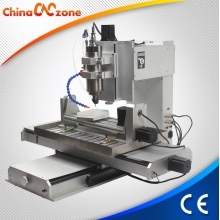 3 axis and 4 axis CNC version for selection. 2. 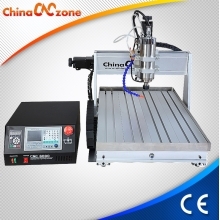 The Z axis effective working area is 105mm, and accept material thick 145mm. 3.With water sink cool system and can protect the spindle efficiently. 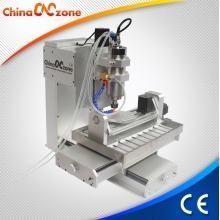 2. can be updated into 4 axis CNC easily and directly after you get the 4th axis rotary from ChinaCNCzone. 3. 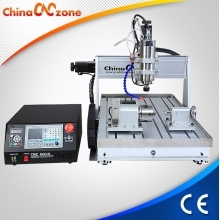 The Z axis effective working area is 105mm, and accept material thick 145mm.